We are excited to offer prepaid and gift memberships to the Parnassus Signed First Editions Club and to ParnassusNext, our YA subscription box. These options provide an easy way of giving someone the gift of membership without having to worry about recurring payments. As soon as you sign someone up, we will immediately send them a certificate which explains the program and who sent it to them so that they will know who to thank when they start receiving their signed books! The program is available in three, six, and twelve month intervals. Prepaid and gift memberships include the cost of shipping. Don't want your gift to expire? You can set up an unlimited, subscription-style gift by clicking here! Please note: Prepaid and gift memberships to both the First Editions Club and ParnassusNext are only available to customers in North America. Memberships billed on a recurring, monthly basis are available for customers outside North America. Click here to purchase a recurring membership in the First Editions Club, or click here to purchase one for ParnassusNext, our YA subscription box. 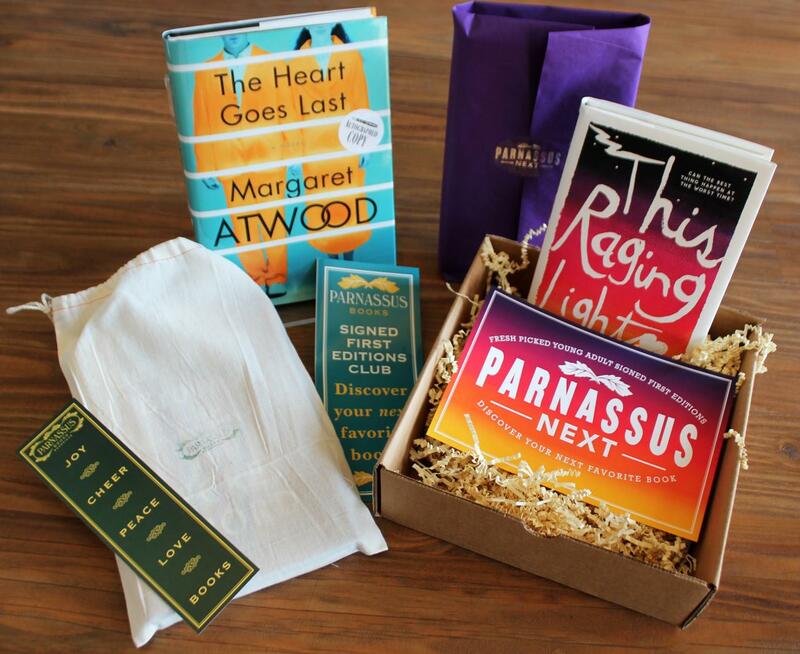 6 month subscription to ParnassusNext, our YA signed first edition subscription box. The price includes shipping to the recipient's address.